Immeasurable. Priceless. Both are words worthy of the volunteers who comprise the Wetland Restoration Team, and until recently, with the need to put a REAL number to their time, I would have preferred to leave them respectfully in that realm of the invaluable and intangible. I was charged with the task of determining the hourly rate (value) of a volunteer’s effort for a proposal reviewed by a federal agency. The request required specific current documentation to support the final documented amount. In the pursuit of that value, I came to the conclusion that you can only guess and find values to imperfectly measure a volunteer’s “dollar value”. For instance, the Bureau of Labor Statistics establishes a standard value for an educator (National Compensation Survey). 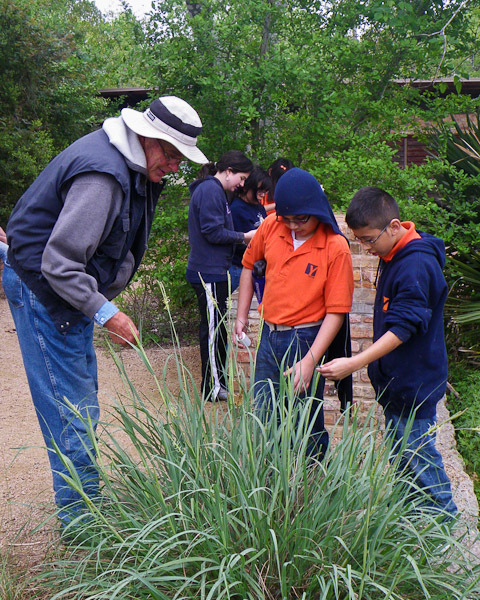 But what if a volunteer is teaching biology and chemistry and physics to a student with varying degrees of botany and taxonomy, and touches on the ecology of the plant community. How does that advance and varied educational experience get captured in a dollar amount? Likewise, the Bureau standarizes the market value for labor in the Natural Resources/Conservation field. But could that value accurately encompass the 10 years of experience working with students doing restoration and the 40 years of prior experience as a science teacher? Could it capture the years of experience with safety protocol in the work force that is then applied to working as a volunteer in inclement field conditions? 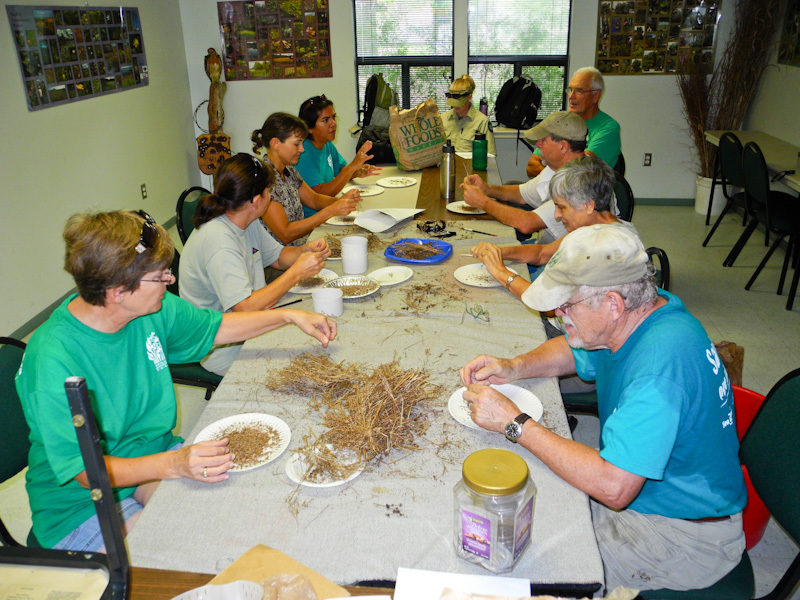 In the end, the value-determining exercise made me further appreciate the uncaptured value of the volunteers who comprise the Wetland Restoration Team. Their effort and experiences are essential to the whole restoration process, as it is through their hands and sweat equity that the wetlands are planted. There is no pricetag on their willingness to restore wetlands on days when the weather and the work is LESS than desirable. 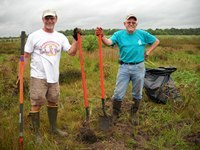 The Team volunteers could choose other places to support or other projects, but they consistently return to the wetlands. A truly priceless gift.